Have you ever wondered if there's a special reason why you can't get enough of a certain pet species? If you're just crazy for collecting every single Quiggle item on the site, or if there's a hidden method for your madness? Our favorite things are often a representation of ourselves and our personality. 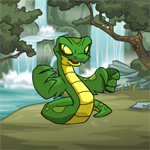 Find out what your favorite Neopet species is saying about you!